Your swimming pool is a source of entertainment and exercise for everyone in your family, and we want to help you keep it operating perfectly! 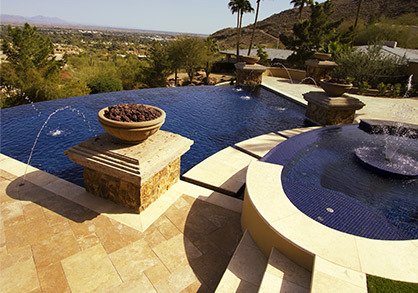 For over a decade, Universal Pool Service Inc. has provided professional cleaning, maintenance, and repair services for swimming pools in Goodyear. If you’re tired of trying to stay on top of pool debris, intimidated by your pool’s various systems, or concerned that an element of your swimming pool is broken or not functioning properly, please don’t hesitate to call or contact us. Our experienced pool cleaning, maintenance, and repair technicians provide top-quality service that’s prompt, reliable, and most of all, transparent. 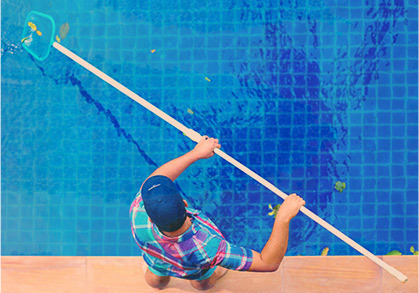 We understand that you have several choices when it comes to swimming pool maintenance in Goodyear, but we truly believe that Universal Pool Service provides the best combination of service and professionalism at a competitive price. Learn more about the pool services we provide in Goodyear below and contact us for your FREE QUOTE today! Chemical Service – No one wants to take a dip in a contaminated pool. A delicate balance of chemicals is what keeps your pool clean, safe, and most of all, sparkling clean. We know how to assess and maintain the balance of chemicals in your pool water so that it stays sanitary without irritating the eyes, skin, or lungs of those who swim in it. BBB Service (Brushing, Baskets, Backwash) – If you have no idea what a backwash is, this service is for you. This is one of our most popular pool maintenance packages because it provides all of the upkeep that most homeowners find boring or overwhelming: brushing, backwashing, cleaning of strainer baskets, and flushing of sand and D.E. filters. Get BBB Service pricing now. Full Service (Chemicals And Cleaning) – If the only thing you want to do is float around in your pool while working on your tan, our full service pool maintenance package was designed with you in mind. This service allows you to leave all of the chemical balancing, cleaning, and filter flushing up to us. 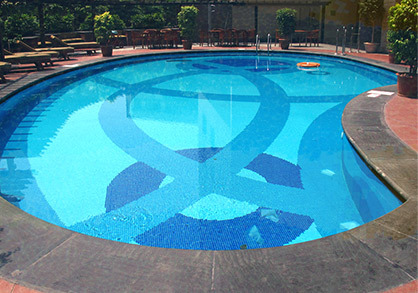 We’ll take care of every aspect of pool maintenance exactly on schedule so your pool is always sparkling and clean. All you’ll need is the sun tan lotion! Get Full Service package pricing now.